There are various types of wedding albums on the market, giving couples a bewildering level of choice – which makes the decision to choose a wedding album, a complicated one. 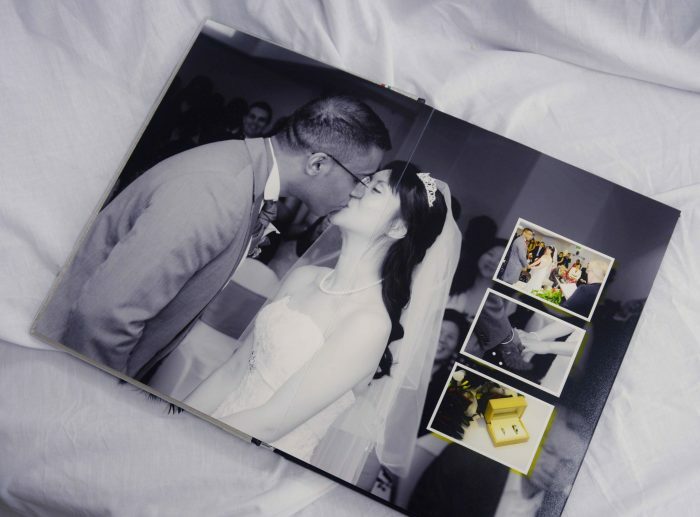 We always get asked by clients why some asian wedding albums more expensive than others and what makes them different? The answer is not as straight forward as one would like it to be. 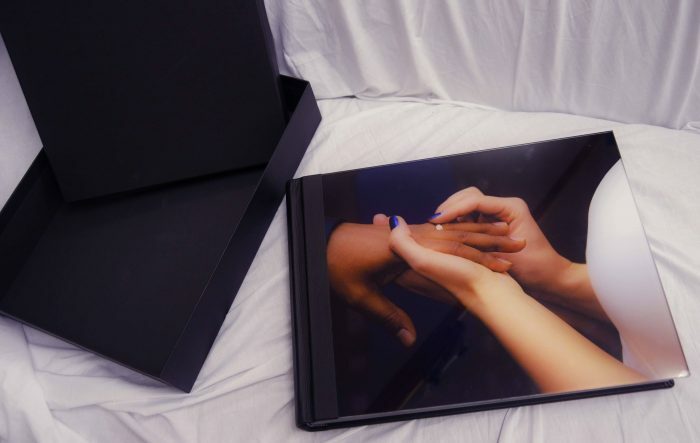 A lot of this is attributed to things like the manufacturer’s process of putting the album together and the type of materials being used to make the wedding album. To explain it simply, modern digital wedding albums are like kitchen cupboards. The carcass in majority of premium kitchens are very much the same and what makes the price difference is the type of doors and finish you choose for your kitchen units. The same also applies to wedding albums, where the base and the construct of premium albums is the same and what defines the price difference is the type of paper being used to finally print your photographs on, the type of cover, the type of box to display the album in, the number of pages and the size of the album. All these factors will make and affect the price of the album. 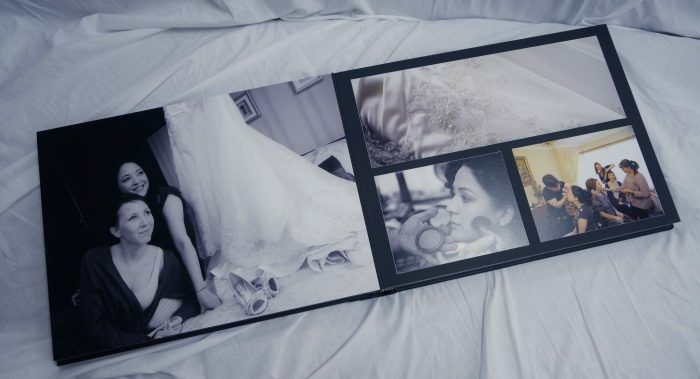 The cost of wedding albums is defined by the photographic paper the photographs are printed on. Over the last few years there has been an explosion in the number, types and grades of photographic paper. This as all been possible as a result of high quality Giclée printing, which is a precision inkjet printing process. 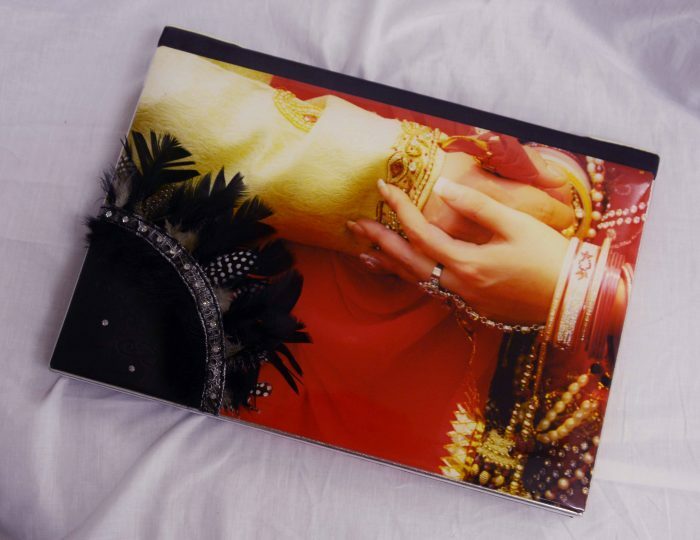 Most asian wedding digital albums are printed on 200gsm thick glossy papers with uv coatings to preserve the images for posterity. In addition to these papers you also have a choice of specialist papers, such as metallic and fine art papers. Metallic papers have a very high contrast quality, therefore images that have vibrant colours, will show off very bold and loud and the texture of the paper is very shiny. This type of papers is mostly ideal for asian weddings. However I would recommend that it be used sparingly, basically limiting it to a medium sized album with 10 spreads, where each spread is two pages. Fine Art Paper based wedding albums are growing in popularity, they also come in various types of grades that give images printed on these papers a different level of look and feel. In the main, these papers absorb lot more ink, resulting in, blacks in black and white photographs appearing very dark and deep. Overall, the images printed on these papers tend to print with lots of atmosphere and depth. Again due to the cost of these papers the types of albums suited for this medium are ideal for, bridal lingerie boudoir, post wedding dress shoot, portraiture and fashion shoots. The most popular wedding album is the the digital album. This is the one that most asian people adopt to show off their asian wedding photographs. The album can contain anything up to 200 to 300 images over thirty spreads without increasing the overall size of the album. It is also important to emphasise that as we add more spreads to the album it gets bigger and heavier. In turn becoming difficult and cumbersome to manage. Also a digital album gives us, the client and designers of the album, much greater freedom to decide the size of the images and their placement on each of the spreads. Traditional Matted Albums are centred on the classic albums before the digital age. The albums contain photographs, which are framed in a card. The key thing to note here is that these albums are very heavy and as the size increases they get heavier. 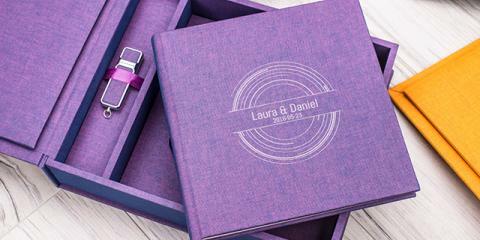 We therefore recommend your choice for this type of album be limited to a 30cm x 30 cm album containing fifteen spreads. The main reason for this is that the pages in a traditional albums are much thicker, nearly three to five times thicker, than those in a digital album. This is because the album is constructed in three to four layers, with the photograph being printed on a heavy grade paper and then sandwiched between two pieces of card. 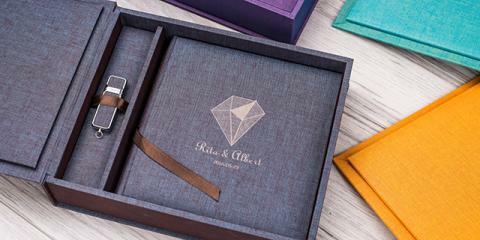 Like with paper types, there are number of different types of covers on offer from manufacturers, the cover also governs the final cost of the wedding album. Acrylic and Plexiglass Covers – these are toughened glass covers, which are scratch resistant and provides protection to the album. This cover normally encompasses an image of your choice. The difference between acrylic and plexiglass is that plexiglass is much tougher and is claimed to be “bullet proof”. Soft fabric and Leather Covers – these are common choices for most albums and many manufacturers offer a good range on the type of leather and fabric grades and colours. Image Wrap – covers are also becoming popular with this extending to spine printing. Matted Traditional Albums – this is a combined digital and a traditional album, giving a greater deal of flexibility in having some matted pages and others as digital pages. For matted album pricing please click here. The price quoted is for an A3 size album. Digital Albums – Boxed Sets – Landscaped and Portrait Style – we offer a range of digital albums, which offer greater flexibility in terms of design and being able to place large number of images on few spreads without increasing the size and weight of the album significantly. Digital wedding album pricing click here. For more information about pricing on these albums, sizes and any other information please do not hesitate to contact us.